The Legislature recently approved an historic expansion of the Great Start Readiness Program – the state’s preschool program for 4-year-olds at risk of being underprepared for kindergarten. This $65 million increase – a 60 percent expansion of the program – will provide a preschool experience for thousands of children who are currently eligible, but not enrolled in the program. 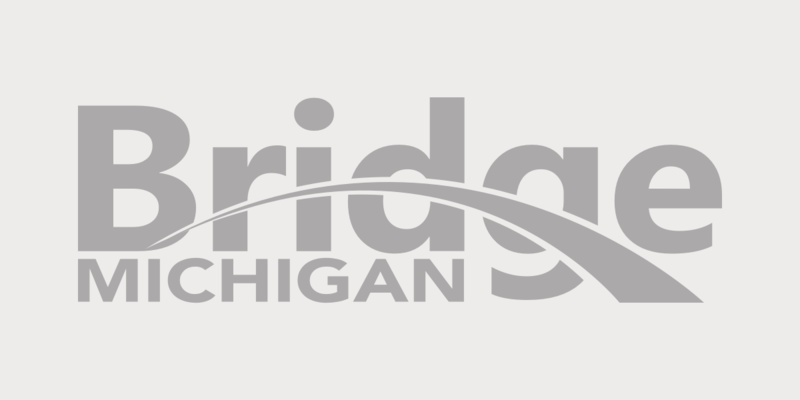 This will be the most significant move that we’ve seen in recent years to provide support to the 29,000 4-year-olds currently living in Michigan who cannot access GSRP, an unmet need that was uncovered by Bridge Magazine. As elected officials, business leaders, early childhood providers and advocates alike rejoice in this much needed expansion, it’s important to remember that our work doesn’t end. A shared priority of the Michigan Association of Intermediate School Administrators and Michigan’s Children over the past several years has been to expand early learning services for young children prenatally through kindergarten-entry. This includes not only expansion of GSRP, but also concurrent growth in services for young children and their families prenatally through age 3. Mina Hong is Senior Policy Associate of Michigan’s Children, the only statewide independent voice for children, with a focus on reducing disparities in child outcomes from cradle to career. Supporting infants and toddlers is critical because their earliest experiences shape their brain architecture, laying the foundations for later learning. Without positive experiences that create strong foundations, learning gaps appear early, sometimes detectable before a child’s first birthday. And these disparities widen as children grow. By age 2, low-income toddlers are often behind both in cognitive and social-emotional measures. By the time they reach preschool, they’re playing catch up, not moving ahead. Furthermore, what is now no longer news to folks is that early childhood investments bring significant economic gains. This is true for the Great Start Readiness Program, and this compelling economic argument was one of the drivers of the $65 million expansion. In fact, as Nobel Laureate James Heckman has proven, investments prenatally through age 3 have the greatest return on investment, particularly when they are followed by high quality preschool like GSRP and a high quality K-12 education. Scott Menzel is superintendent of the Washtenaw Intermediate School District and chair of the Michigan Association of Intermediate School Administrators’ Early Childhood Committee. MAISA is the statewide association of Michigan's 56 intermediate school districts. As Michigan’s elected officials begin preparing for the fiscal year 2015 budget process, we urge them to consider ways to maximize their strong investment in preschool. In Michigan, we need to increase support for programs that serve young children prenatally through age three. This includes expansion of high-quality child care for working families; evidence-based home visiting services to help parents become their child’s first and best teachers; and Early On early intervention services for young children with identified developmental delays and disabilities that, when left untreated early, may prove to be more challenging to treat later. By setting children on a clear path toward success, early education provides the greatest benefits for low- and moderate-income children while bolstering Michigan’s economy by building a robust work force for the future. This early investment is crucial for our children, our families and our state. We applaud the governor and Legislature for recognizing the importance of early childhood education by increasing the state’s preschool investment by such a substantial amount. This is a necessary first step toward implementing the comprehensive prenatal through post-secondary (P-20) system proposed by the governor. It took courage from Gov. Rick Snyder and the Legislature to find $65 million this year to expand preschool access, and it will take even more courage to take the next steps to truly realize a P-20 system that begins prenatally and eliminates the achievement gap. But, the economic benefits for our state and the need to ensure all Michigan kids get off to a great start has never been more important. At MAISA and Michigan’s Children, we will continue to work together on behalf of Michigan’s learners cradle to career, and encourage others to join us in maximizing the state’s preschool investment by following the research: it’s now time to invest in our children from the start. It all starts with the attitude of the parents, they have to care about interacting with their children in a positive way starting at birth, providing the kind of environment that will nurture the child in a learning environment. A "tough love" approach with the parents is probably going to be resented and go nowhere, I'm not sure how this will work but I hope they can come up with something. This is just another scheme to replace parental responsibility. Why not just take the children away from their neglectful parents? (sic) We currently are feeding the children 2 meals a day and with pre-school and after school programs, the education system has become the baby sitters for irresponsible breeders. Parenting is a very difficult job when done properly and so many are ill equipped and ill prepared to accept the responsibility. Since this or similar head start programs have been in effect for quite some time, how about reporting on the percentage of really productive members of society that have been developed through these programs? The tax payers want accountability for their investment and are getting tired of social programs that just keep growing without any actual results. Somebody needs to show significant, measurable benefits to society or move on to a program that does. There is something wrong with a system that rewards people for bringing children into the world where they are not able to be cared for or afforded. These poor youngsters become just more casualties of a system built on a false support system that insures perpetual employment for bigger government. Forty years of the "Great Society", trillions of dollars and what has been accomplished? How sad is that? The State could save a lot of our money by, instead of spending on trying to help the under-parented, stopping the spending on programs that largely contributed to the problem of parental incompetence in the first place. The way things are going, after 0-3s, they'll be talking about the unborn. Oh, wait, those aren't people, they are a choice. Oh, well. Gotta make sure the pliable minds don't get polluted with ideas like opportunity, personal responsibility, self-improvement, limited government. I've said it before and I'll say it again. Kids catch up if the kindergarden/first grade class class is taught correctly. Exactly how does spendiny my money on bad parenting help me, the taxpayer? No one paid for my kids to go to pre-K; I read to them and talked to them. It is not my responsibility to pay for someone else's kids to get free schooling before school starts - in effect, paying for childcare.